PocketDivXEnconder is a tool which allows you to optimize your videos and movies for viewing from any device: mobile phones (like Android/iPhone), PDA, PCs or tablets. PocketDivXEncoder is surprisingly easy to use. The default settings are normally good enough and require little in terms of tweaking. For customizing your encoding, PocketDivXEnconder allows you to modify the resolution, image quality, sound quality, brightness, contrast, saturation level, and more advanced. 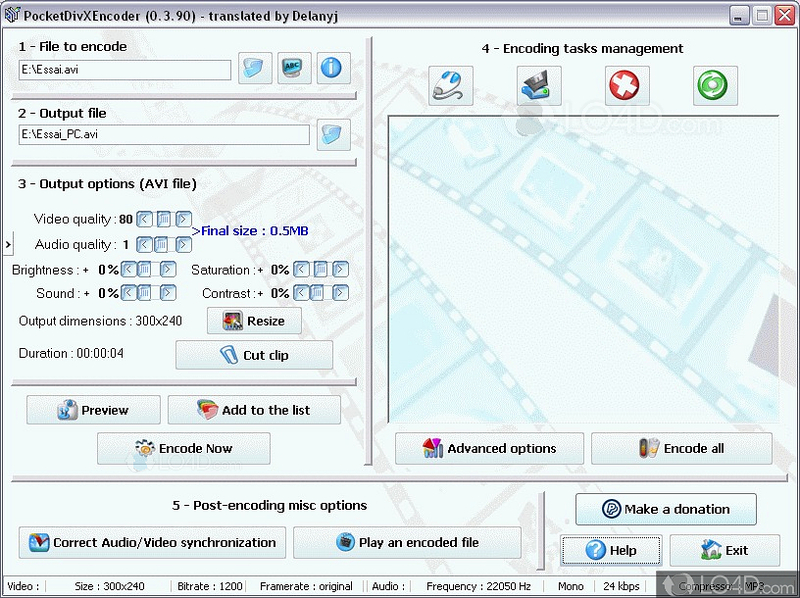 PocketDivXEncoder has advanced features like cutting videos, copying, different encoding types, different frame rates and different quality of audio. 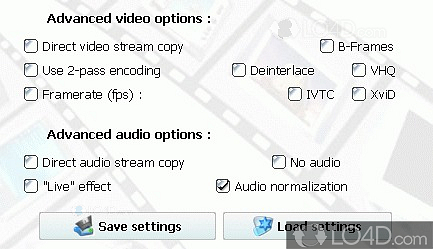 Ultimately, PocketDivXEncoder is an interesting solution to optimize and convert videos. PocketDivXEncoder is licensed as freeware for the Windows (32-bit and 64-bit) operating system / platform from media converter software without restrictions. PocketDivXEncoder 0.3.96 is available to all software users as a free download (Freeware). 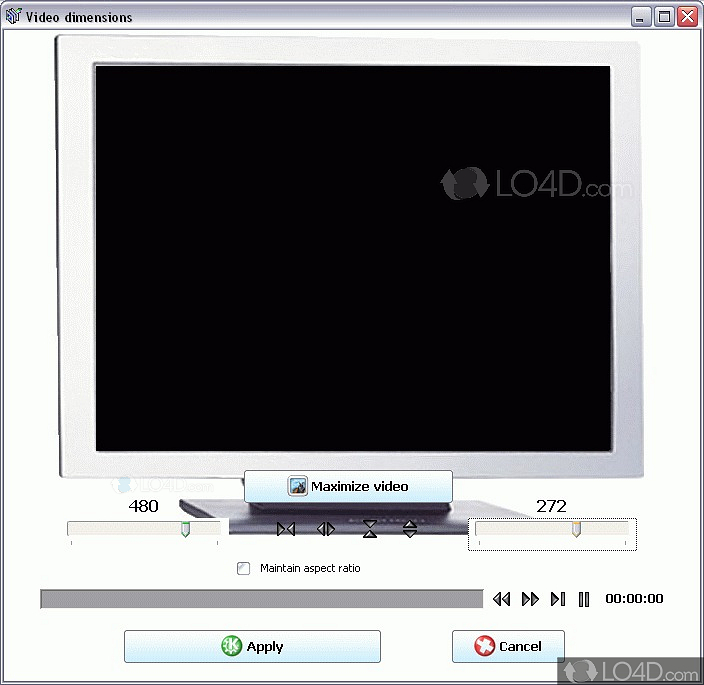 Compatibility with this video encoder software may vary, but will generally run fine under Microsoft Windows 10, 8, 8.1, 7, Vista and XP on either a 32-bit or 64-bit setup. A separate x64 version may be available from PocketDivXEncoder. This download is distributed as PocketDivXEncoder_0.3.96.exe. We have tested PocketDivXEncoder 0.3.96 against malware with several different programs. We certify that this program is clean of viruses, malware and trojans.